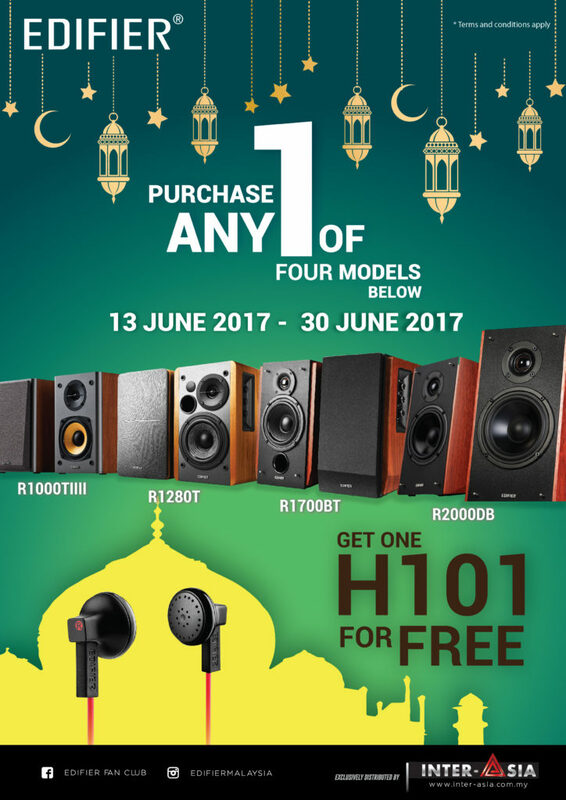 Home › Highlight › BUY AN EDIFIER SPEAKER* AND GET AN EARPHONE FREE! Terms and Conditions 1. The promotion is only open to purchase made in Malaysia. 2. Only 1 earphone per purchase in 1 receipt. 3. Inter-Asia Sdn Bhd retain the right to make changes of the prize to anything else at similar value. ‹ What earphone are they holding?